- Russian model Irina Shayk sheds her top for a new Replay Jeans campaign. - Dita Von Teese is teasing again. This time for Target Australia which is launching a new line of lingerie. - Asics, which used air blown ping pong balls to create a sneaker has now moved on to balloons. 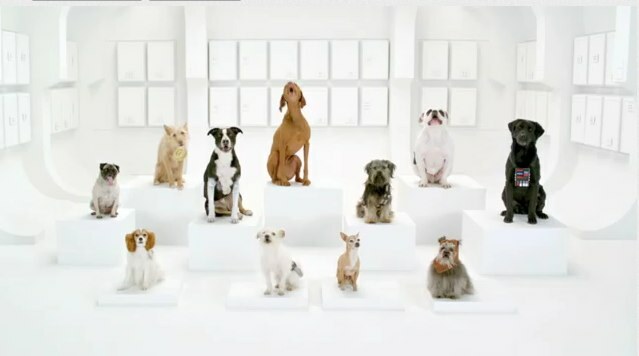 - Skechers, after parting ways with Kim Kardashian for this year's Super Boiwl has decided to, instead...hire a dog. - This is awesome. Put all kinds of different things in a microwave and film them blowing up all to suggest eating at Moe's Southwest Grill is a much better place to get your food. - Amazing new Italian commercial for Fiat. Perennial purveyor of prurient predilections GoDaddy has release the first of two spots it will air during this year's Super Bowl. The ad, which promotes the brand's dot-CO domain, is called Body Paint and features Go Daddy Girls Danica Patrick and Jillian Michaels who, together, paint the naked body of a model while talking about the benefits of a dot-CO domain. It's pretty tame compared to previous efforts from the brand. As always, there will be a web-only version of the commercial available Super Bowl Sunday for viewers to check out. The second commercial, Cloud, will feature Danica Patrick and the Pussycay Dolls. That one may be a bit more interesting. So chevrolet, much like Doritos, did the whole consumer-created commercial thing this year for the Super Bowl. Launched in September last year, the contest collected 198 entries which were narrowed to 33 in December. 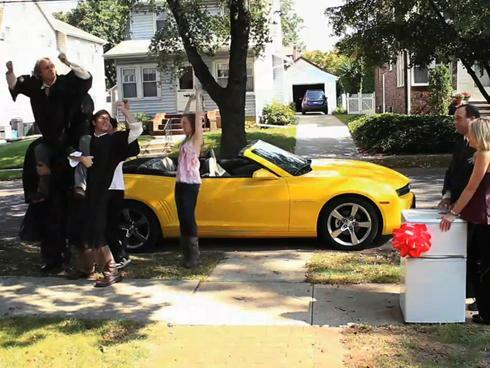 This week, Chevrolet announced the winner; Florham Park, NY resident Zach Borst. Borst will receive $25,000 and his commercial will air during the Super Bowl. Borst, who looks like he's 30, went with the classic high school graduation scenario whereby parents buy a car for their recent grad. But in this case, it's not a new car that was gifted. It was a fridge for the "kid's" dorm room. Anyway, it's amusing enough. If you can get over the fact these high school grads look like they're well past the quarter life. After 14 years, Pricline has decided it's time for a new direction and in a spot that will debut Monday, Shatner's Negotiator character will plunge to his death in a bus after telling a couple to "save yourselves...some money!" Shatner, in the bus, then tumbles off a cliff and dies an explosive death. Shatner's Captain Kirk character died in the 1994 film Star Trek: Generations. Of the decision, Shatner said, "I'm in grief mode. It's not the first time I've had an iconic character die off. It was a great run. If the management says this is the end, this is the end." Better to go out on top then be seen as a hanger on. The move is part of a planned new direction for Priceline which will have less to do with the site's well known price negotiation feature and more to do with its newer fixed price, discount-booking focused approach. There may even be a spot in this year's Super Bowl. Shatner will be missed but things change, companies change and that means their ad campaigns have to as well. Can we get a ceremonial "Khaaaaaaaaan!" ? Ah yes. This year, Volkswagen must find a way to reprise the greatness of The Force which it debuted during last year's Super Bowl. It'll be a hard act to follow but VW wants us all to know their trying really really hard not to let us down. This Deutsch LA-created teaser, while not indicative of the actual content planned for this year's Super Bowl, is called The Bark Side and hopes to peak interest in what the automotive manufacturer has in store. Here's hoping they don't fall flat. The teaser points to a microsite on which a full-blown, Star Wars-themed invite urges people to invite all their friends to a virtual Big Game party to be held January 27. 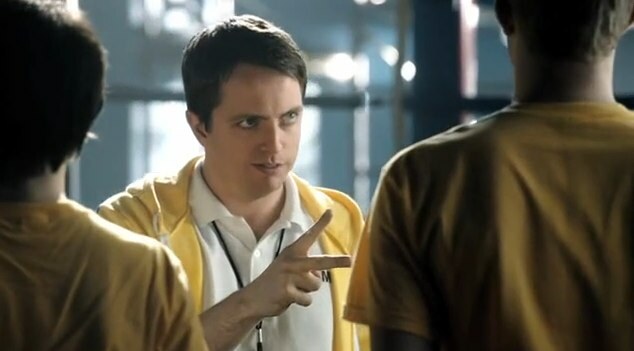 So Doritos has selected its top five contenders for its Crash the Super Bowl contest. Here's one from Joby Harris called Bird of Prey. Joby won $25,000 and a trip to the Super Bowl for his efforts. If you ask us, his work is right in line with what Super Bowl viewers love to see: cute girls, office antics and people smashing into things because they think they can fly. Nice job on the multiracial inclusion thing too, Joby. So what do you think? Should Joby's entry take the top spot and air during the Super Bowl? You can check out all the finalists here. We're partial to the cleavage-laden Hot Wild Girls but that's been done a million times before. Sling Baby? Funny but it'll get complaints like the HomeAway ad did. Man's Best Friend? Yawn. Dog Park? Nah. Yea, we're going with Bird of Prey. Business Insurance Quotes has put together a list of what they consider ten of the best insurance commercials. We'd have to concur. Most are excellent. We particularly like the wry humor of the Australian 1st For Women commercial and it's commentary on why it doesn't insure men. 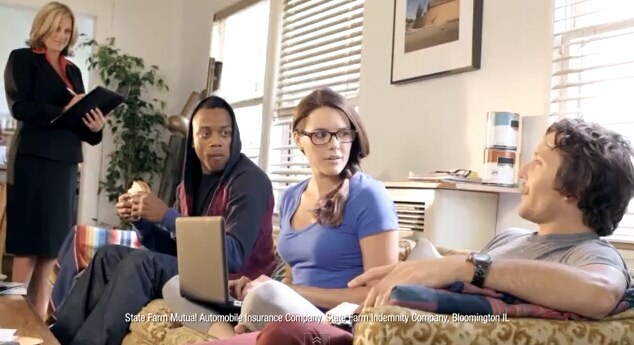 And the "can I get a hot tub" State Farm ad. And, of course, the classic Kevin Federline commercial for Nationwide. See all the ads here. Weight Watchers. You know, that company that helps you lose weight by eating whatever you want as long as you don't go over your daily allotment? Yea, that Weight Watchers. In France they're having a bit of fun in a new commercial created by Fre & Farid Paris. Entitled Treat Yourself Better, the ad features a very full-lipped woman stuffing all manner of food from healthy to junk to weight loss pills into her mouth. The message, of course, is Weight Watchers provides a better solution by not limiting the kinds of food you eat. We think it worl. In that weird French sort of way. To some, Rock Paper Scissors is a serious sport. In Canada, it's taken so seriously it's become a new lottery game. And to hype the launch of the new game who better than a rock paper scissors champion to do the honors? We're not quite sure what physical rock paper scissors skills has to do with winning a lottery game called Rock Paper Scissors but this is advertising and in advertising it's all about the analogies. Due North Communications created.